SEATTLE — Amal Clooney might be most known for being married to Oscar winner, George Clooney, but there’s so much more to her story. As a child, her family escaped during the Lebanese Civil War to London where she attended school before attending New York University School of Law. As a human rights lawyer, she has represented high-profile people including WikiLeaks founder Julian Assange, as well as imprisoned journalists and women abused under ISIS. She has also made it her mission to fight for refugees all over the world. 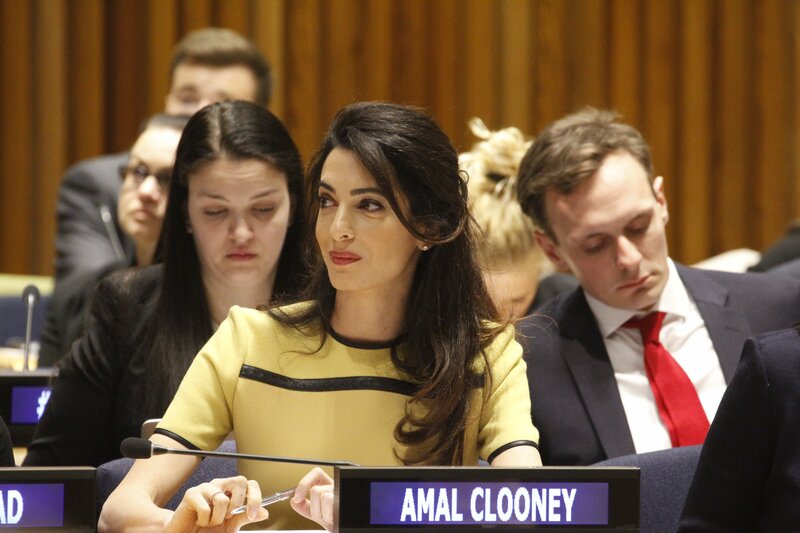 Below are the top humanitarian quotes by Amal Clooney. Clooney Foundation for Justice announcement to support refugee children in Lebanon “Thousands of young Syrian refugees are at risk – the risk of never being a productive part of society. Formal education can help change that. That’s our goal with this initiative. We don’t want to lose an entire generation because they had the bad luck of being born in the wrong place at the wrong time.” – Amal and George Clooney.